"Legendary Photography, painter, and maker of objects and films, Man Ray was on the most versatile and inventive artists of this century. 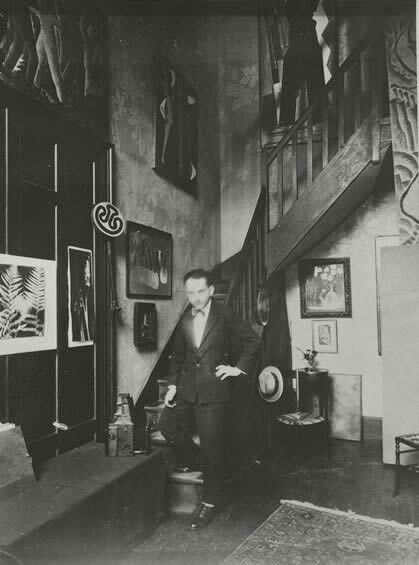 Born in Philadelphia in 1890, he knew the worlds of Greenwich Village in the avant garde era following the 1913 Armory show; Paris in the 1920's and 1930's, where he played a key role in the Dada and Surrealist movements; The Hollywood of the 1940s, where he joined others chased by war from their homes in Europe; and finally, Paris again until his death in 1976. " Links: This page was created for students and researchers who have questions on Man Ray.Many of the links contain comprehensive information on Man Ray along with other valuable resources.